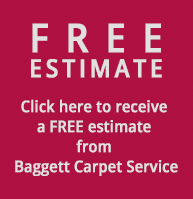 Baggett Carpet Service accepts all major credit cards: Visa, MasterCard, American Express and Discover. Cash and Checks are also accepted. We can also provide special financing up to 24 months same as cash.